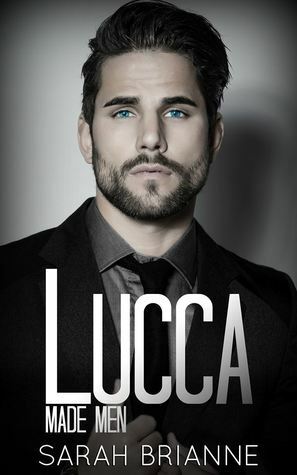 Resume: Lucca was made the underboss, being what nightmares are made of. I never thought I would give 4* to this book. I was ready to give 5* but it is impossible. I loved the story, how their relationship builded, I loved Lucca, I loved Chloe (yes, after her book I was so upset with her. She was so boring and annoying. Sorry), I loved the characters (give me Sal’s and Drago’s book right now!!!) but but but but, the author’s writing style is not my cup of tea. She writes in a poetic way which I could accept well if this book wasn’t from a Mafia series. If this book wasn’t Lucca’s story. Lucca that is supposed to be so mean and scary and deadly. The writing style does not fit. It was weird to read Lucca’s POV in a poetic way. It was a bit boring. I understand she explained this is her writing style BUT this is genre and poetic writing does not fit. Also, I didn’t like some things here and there. Chloe’s parents barely appear and the others characters. I also didn’t like how Sarah made Amo look the bad guy (ok, I don’t like Amo but I feel his pain) because somehow it doesn’t seem to fit the imagine of Amo that I got. Sure he changed a lot throught the books but it still doesn’t feel right. Also, the story between the “devil” and Chloe’s parents, what happened to her and the “Devil” relationship with Lucca’s family could have been better developed. I felt a bit rushed somehow. Anyway, where can I get a Lucca for myself? I’m actually giving 4* because the story itself is good and I’m trying to forget the writing style.